When did the acquisition take effect? Why did we decide to sell? This is a great opportunity for Senn Dunn’s clients and associates. Deciding to sell the agency was by no means an easy decision, but it will enable us to grow and continue to serve clients for the long term. 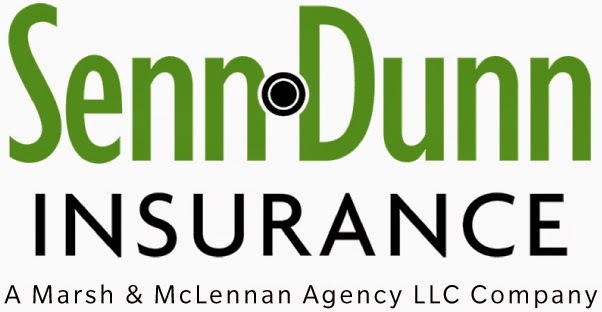 Joining Marsh & McLennan Agency LLC (MMA) provided Senn Dunn a unique opportunity to retain our operating model, leadership and culture, while gaining access to resources from one of the world’s leading insurance brokers. Our relationship with MMA will benefit our associates and our clients. Was Health Care Reform a factor of the sale? All of the insurance markets are in the midst of the most significant change seen in the past 50 years. The business of offering insurance and employee benefits will be more competitive and dynamic going forward. Given the changing health insurance landscape, joining MMA will allow Senn Dunn to optimize our ability to invest in new solutions, resources and capabilities for employers and individuals regardless of what the future may hold. Why did MMA select Senn Dunn? MMA was seeking a prominent middle-market, southeastern agency to join their Mid-Atlantic region. MMA was drawn to Senn Dunn’s strong regional presence, proven leadership, entrepreneurial culture and dominance in both the property casualty and employee benefits business. Marsh & McLennan Agency (MMA) LLC was created in 2008 as a separate operating subsidiary of Marsh & McLennan Companies (MMC), Inc., one of the world’s leading global insurance brokers and risk management advisors. MMA primarily serves the property & casualty and employee benefits needs of the middle market with separate leadership from Marsh. MMA is headquartered in White Plains, New York and currently employs less than 20 employees. The New York office does not service any clients and primarily serves as the corporate headquarters for all of its agency companies. MMA intends to have a small corporate staff to ensure the majority of decisions are made by the regional management teams. How does MMA envision growing in the next few years? MMA has been very public about its goal to build one of our industry’s preeminent national organizations. It currently ranks as the 12th largest employee benefits and property casualty agency in the United States with annual revenue of $600 million. Their unique acquisition growth model ensures little to no disruption of operations at the regional level, ensuring the integrity and culture of each agency remains intact, while at the same time building a comprehensive and diverse national network of brokerages. What role will Senn Dunn play in the growth plan? Senn Dunn will take a leadership role in the Carolinas as part of the Mid Atlantic (VA, DC, MD, NC, SC, GA, AL, TN, KY, WV and PA) region for MMA, continuing to grow in our existing markets. How will we access the services of Marsh? Even though we will be operating under a separate structure and management from Marsh, we will have access to their capabilities for the benefit of our clients. We are working through these details now, and will share the process of accessing Marsh’s resource as they are finalized; these resources may include practice group expertise, business analytics, risk consulting with MMA Environmental, claims support, and international support. We also have the ability to access the capabilities of Mercer, a global leader in talent, health, retirement and investments. What happens to the Associates in each of the locations? No positions were lost due to this acquisition. Our associates, locations (Greensboro, High Point, Raleigh, Wilmington and Charlotte) and operating platform are what drew MMA to Senn Dunn and we plan to continue working with clients in the same way we always have worked with our clients. This is about growth, not consolidation and cost reduction. Clients were informed on the same day as our public announcement on June 2, 2014 through a letter and press release. Vendors were informed on the same day as our announcement by a letter. Will there be any changes in client relationships as a result of the acquisition? We expect no changes to our current operating structure. There will be very few changes to our day-to-day job and our interactions with clients. Will our logo and name change? What corporate culture changes can I expect? We do not foresee any changes in corporate culture. Our leadership, vision, values and commitment to serving clients, associates and our communities remain the same. We look forward to celebrating as a family, rewarding hard work and being active members in our communities. Additional questions can be directed to Heather Dutch @ hdutch@senndunn.com or 336-346-1385.